Brooklyn based Sottocasa Pizzeria opened up a Harlem branch in the Mount Morris Park Historic District this past week and we had a chance to check it out. 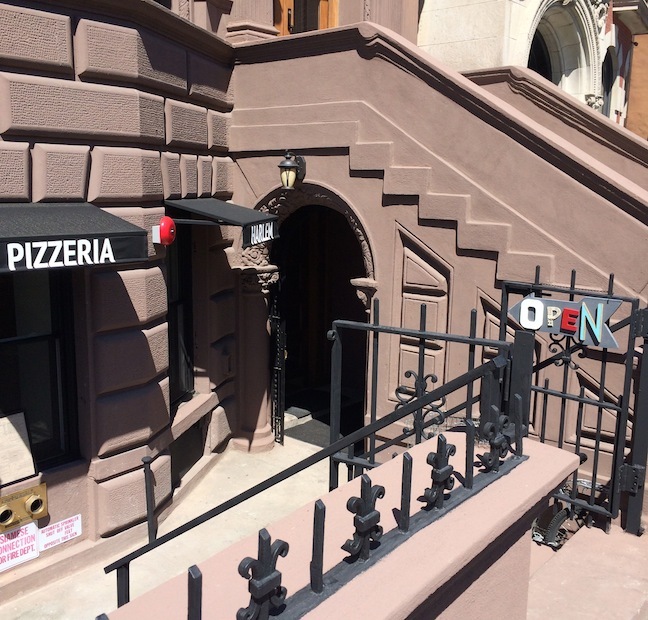 The location on Lenox just north of 121st Street in the garden floor space of a recently restore brownstone has about 40 seats from what we can gather and a brick oven in the back corner. There is also a more private dining area towards the backyard with a skylight but unfortunately an actual garden space is not part of the mix. We needed to try something a bit lighter for the day so went for the artichoke and italian ham pie which had the perfect crust and more subtle flavors to it which was just right after a week of heavy eating. 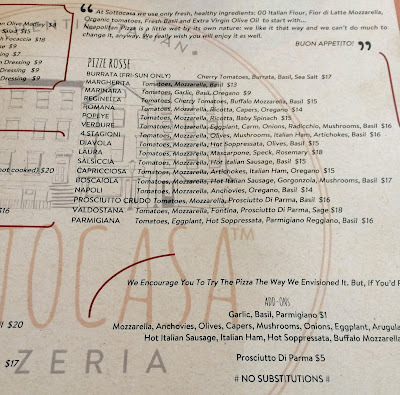 For future food adventures, our eye is definitely set on trying out the Laura pizza with mascarpone and spec or the Boscailo with hot Italian sausage and gorgonzola. The presentation here is also worth noting and these pizzas have a more artisan look to them than most other spots. 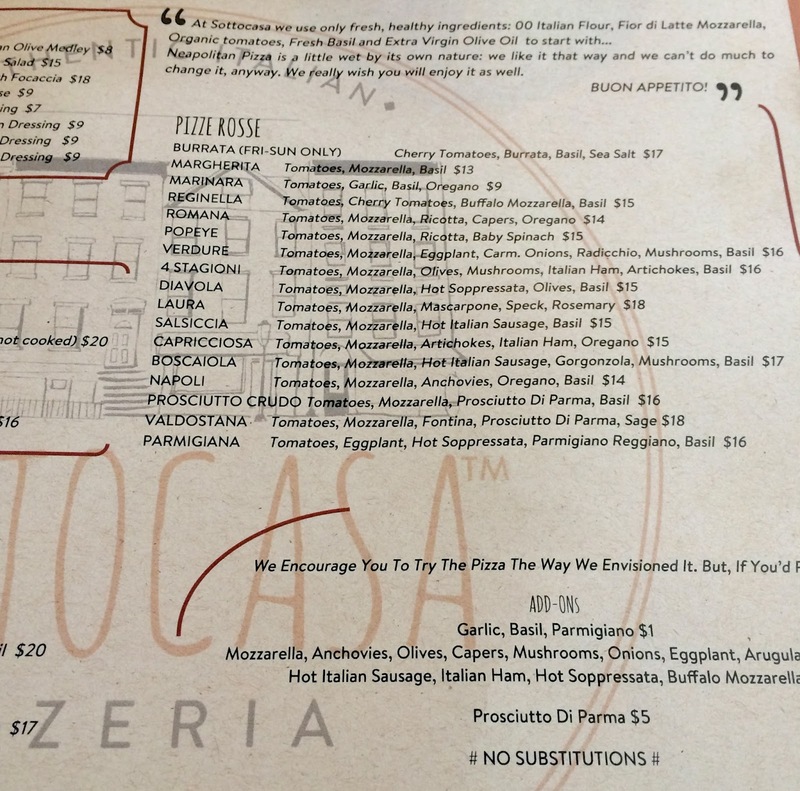 Overall Sottocasa is an amazing addition to the pizza scene that is booming uptown and now there are quite a few options at various levels. West Harlem and the east side traditionally has all of the cheaper slice shops in place so it is a big change to see so many brick or wood oven pizza spot arriving on the scene in Central Harlem. This looks excellent--will have to check it out this week! 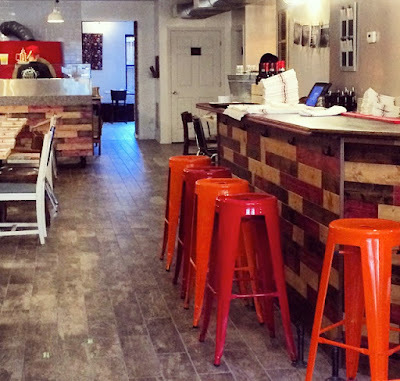 I ate their this past weekend with my two children(ages 5 and 13)and was very impressed. 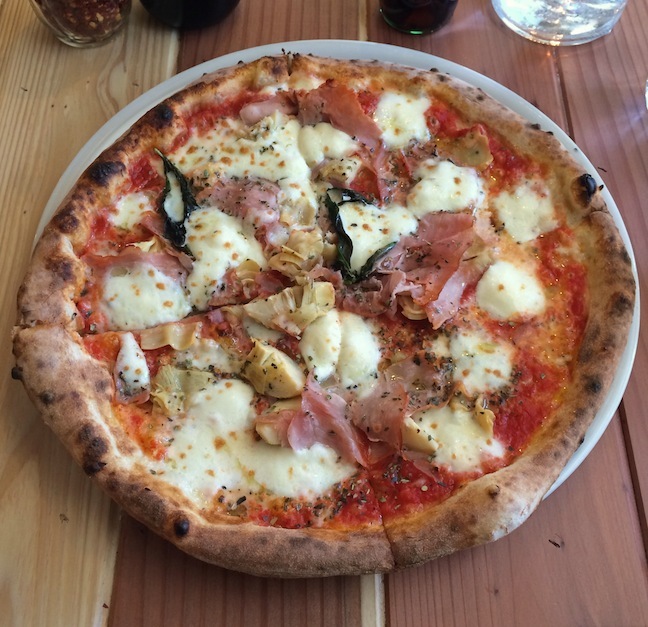 The pizza was delicious and very authentic as to what one would find in Italy. The owner actually even introduced herself and thanked us for coming, which was a very nice touch. I really hope they succeed. was there the day after they opened - the food was good and the service was very very warm and welcoming. I have eaten there twice and had the gluten free crust topped w red sauce, ricotta, onions and spinach,really delicious artisan pizza. The owners came over and introduced themselves which is wonderful.